The Wizarding World of Harry Potter - Diagon Alley expansion officially doubles the size of the world and expands it to both Universal theme parks. Universal Orlando Resort’s The Wizarding World of Harry Potter – Diagon Alley will officially open on July 8 – allowing guests to experience even more of Harry Potter’s adventures in an all-new themed environment. 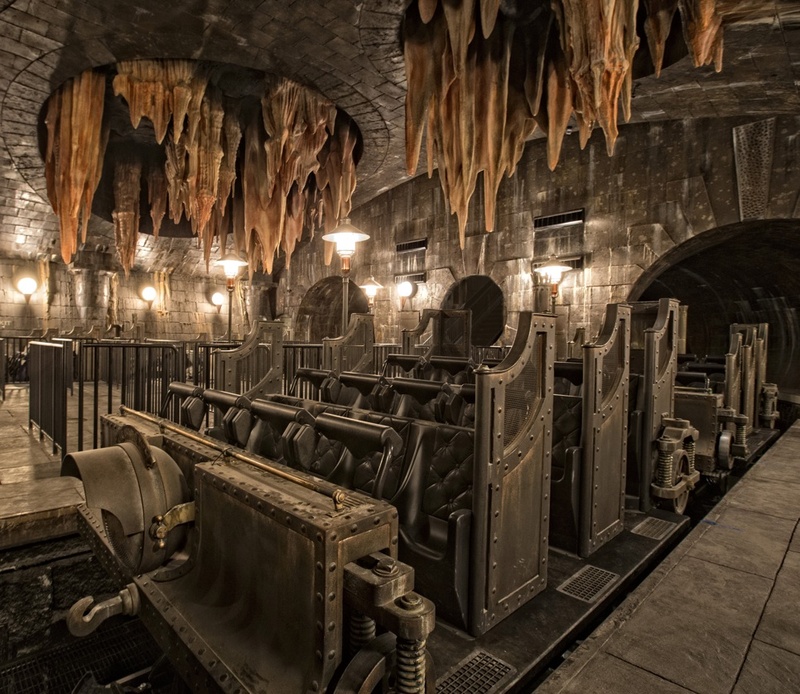 Located in the Universal Studios Florida theme park, The Wizarding World of Harry Potter expansion introduces the next generation thrill ride, Harry Potter and the Escape from Gringotts. The new immersive area will double the size of the sweeping land already found at Universal’s Islands of Adventure, expanding the spectacularly themed environment across both Universal theme parks. 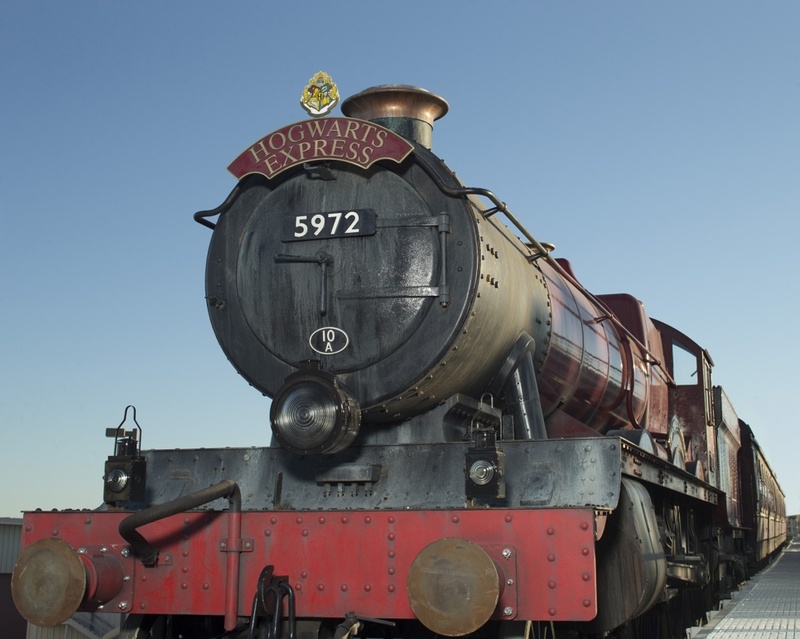 Guests will also be able to board the Hogwarts Express and enjoy a unique journey as they travel between London and Hogsmeade. Imagine wandering up the cobbled street of Diagon Alley, turning into nearby Carkitt Market, and enjoying a live performance by one of the wizarding world’s most popular singing sensations or seeing stories from The Tales of Beedle the Bard come to life right before your eyes. The Tales of Beedle the Bard,a new stage show taking place within Carkitt Market, a covered, outdoor shopping area inspired by London’s famous markets. The show will feature a troupe of four from the Wizarding Academy of Dramatic Arts who have set up to perform a trunk show using stylized scenic pieces, props and puppetry fabricated by Emmy-award-winning designer Michael Curry. Curry is best known as the production designer on projects including the 2010 Winter Olympics opening ceremony and the 2012 Super Bowl halftime show. The performers will retell two of the famed tales of Beedle the Bard, a 15th-century author of wizarding fairytales. The show will feature “The Fountain of Fair Fortune”, in which three witches and a knight meet in their attempt to reach the Fountain in an enchanted garden, and “The Tale of the Three Brothers” – featured in the seventh film “Harry Potter and the Deathly Hallows – Part 1” – in which three wizard brothers come face to face with Death. The Singing Sorceress: Celestina Warbeck and the Banshees, a musical performance featuring the ever-popular singing sensation of the wizarding world, known from the books as Molly Weasley’s favorite singer, who she listens to on the Wizarding Wireless Network. The swinging show will feature never-before heard songs including, “A Cauldron Full Of Hot, Strong Love,” “You Stole My Cauldron But You Can’t Have My Heart” and “You Charmed The Heart Right Out Of Me”. These titles were all created by J.K. Rowling and the lyrics also include never-before-revealed information on Celestina’s wand from Pottermore. 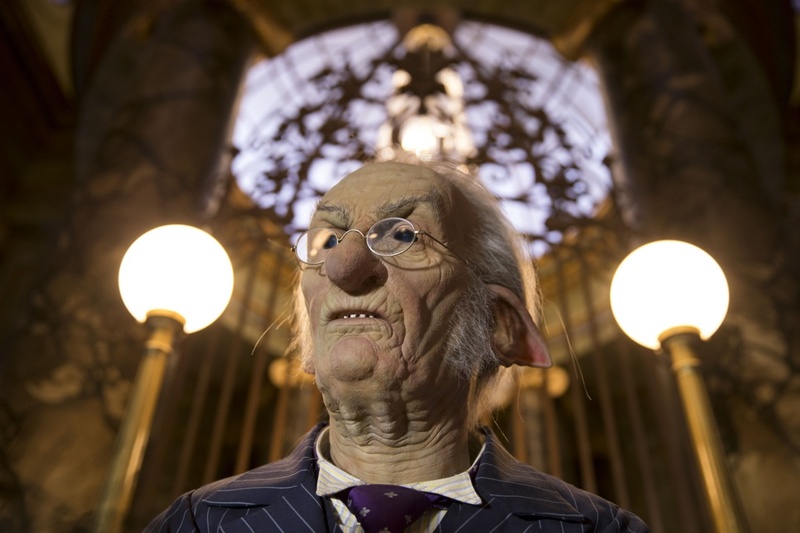 Gringotts Money Exchange, a place where guests will be able to interact with a Gringotts bank goblin and exchange their Muggle currency for Wizarding Bank Notes. These bank notes can be used within both Diagon Alley and Hogsmeade (and throughout the rest of Universal’s two theme parks) to purchase snacks and items from the shops. Ollivanders: Makers of Fine Wands since 382 BC, one of the wizarding world’s premier wand shops. Visitors to Ollivanders will step into the small, dusty shop and experience “a wand choosing a wizard” firsthand, reminiscent of one of the most iconic scenes from the Harry Potter books and films. 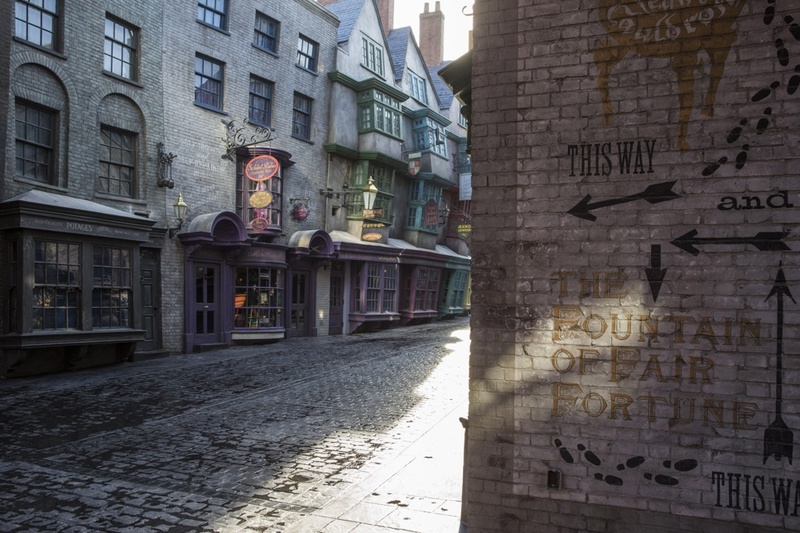 This interactive experience is also available at Ollivanders in Hogsmeade at Universal’s Islands of Adventure.